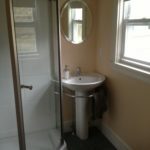 Our Plumber worked with a local contractor on this small bathroom remodel. As you can see space constraints were a challenge. We were able to install a pedestal sink and custom shower to save space. 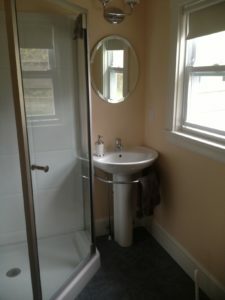 We work with contractors on all kitchen and bathroom remodels. Whether you are just looking to freshen up your look or a “full gut” remodel we are always here to help. Call our Framingham office at 508-875-2593 any time for a free estimate. 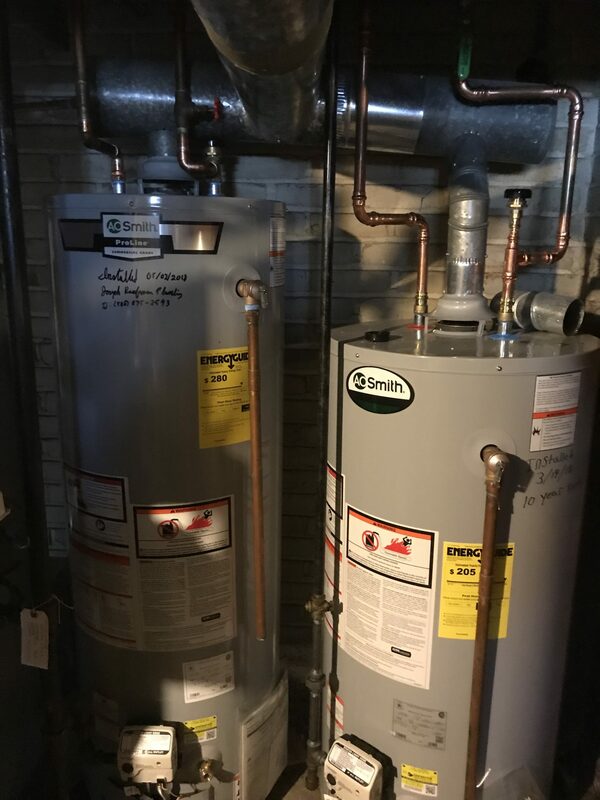 We replaced two hot water tanks in this condo building in Framingham MA. 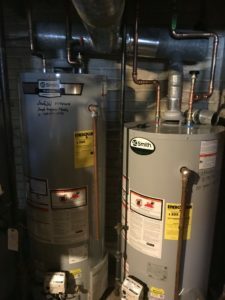 The units we replaced at two different times but in both cases, we were able to move quickly and get the unit owner cleaned up and having hot water within hours. Please call our Framingham office at 508-875-2593 any time for a free estimate on your hot water tank replacement. We always offer fair pricing so when faced with an emergency replacement, rest assured you will be well taken care of.